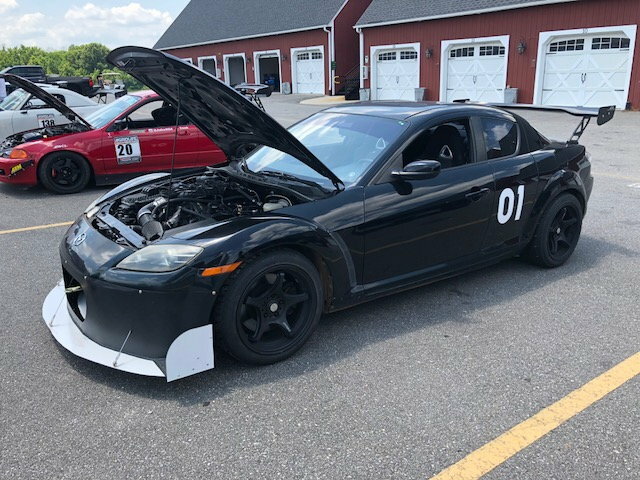 Finally got my LFX swapped Rx8 to the track this past weekend, VIR with Rezoom Motorsports. I'm still learning the car but thought some here might be interested in this setup. sweet tell us more, more images and engine specs etc. 3.6 V6? aluminum block? whp numbers etc. The LFX is a 3.6 GM V6 found in a number of applications, including 2012-15 Camaro's, several model year Cadillac ATS/CTS, Holden Commodores and various others. Mine is out of a 2015 Camaro. It is rated at 325hp/278ft lbs to the crank. It does feature an aluminum block. The engine is e85 compatible, but I have not added a flex fuel kit at present. It's something I'm considreing in the future. Manual transmission also comes from the Camaro. The dyno numbers for my car are 290whp/272ft lbs which is a little up on horsepower over stock camaro with significantly more torque. Most of the camaro LFX dyno numbers are closer to 270/240 from the sheets I have seen. 5zigen fn0rc-1 17x10 wheels with Federal 595RSR, 255's squared. Car still has full interior for now. I'm running the APR GTC 200 wing. The front splitter is custom. It obviously isn't built to run any particular class, just a fun street and HPDE toy. Oh, I have so many questions. Very cool car, man! I need to do an air dam setup like that over the winter. Do you have any more pictures of how you built yours? Dude, seriously. Post some more pics! Fun story, the garages on the left in the background of your picture once housed small children for a summer camp. For a couple summers, I was a camp counselor for a racing camp there at VIR. We put up a bunch of bunk beds in those garages and used them as dorms. The room down the stairs between the two buildings and to the right was our "break room". It was always such a pleasure to be awoken by cars screaming down that straight away at 7am. Porsche's were the worst, followed by the Miata club. I miss seeing all the race cars that came through, but I sure as hell don't miss chaperoning kids all over VIR's campus. It's a very large estate. Very cool car though. I wouldn't mind visiting VIR to see you run the track. 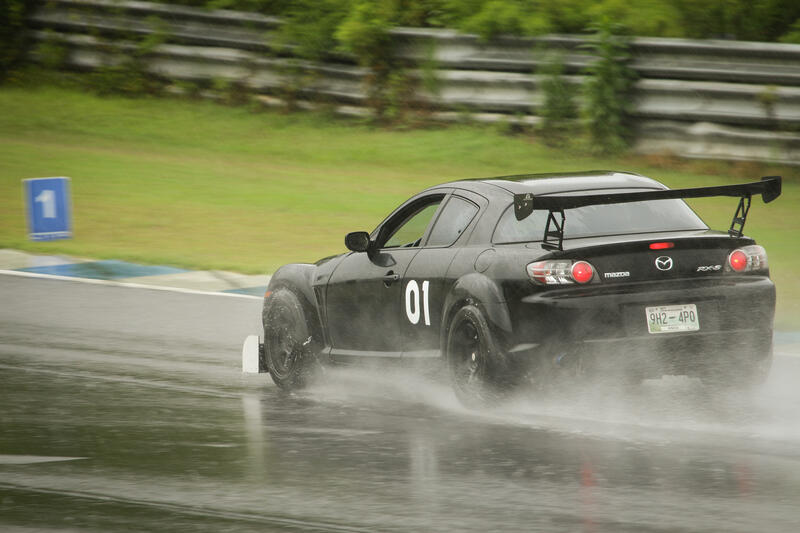 I don't think I've ever seen an RX-8 out there on the track come to think of it. I'll be at Atlanta Motorsports Park next Thursday for a track day. I would be very interested in how you mounted the engine and trans. I want to know what he did for the electronics. Does the factory dash all work? Factory dash still works, with the exception of the CEL which has been switched off. A secondary CEL had been added so I know if a code is being thrown. 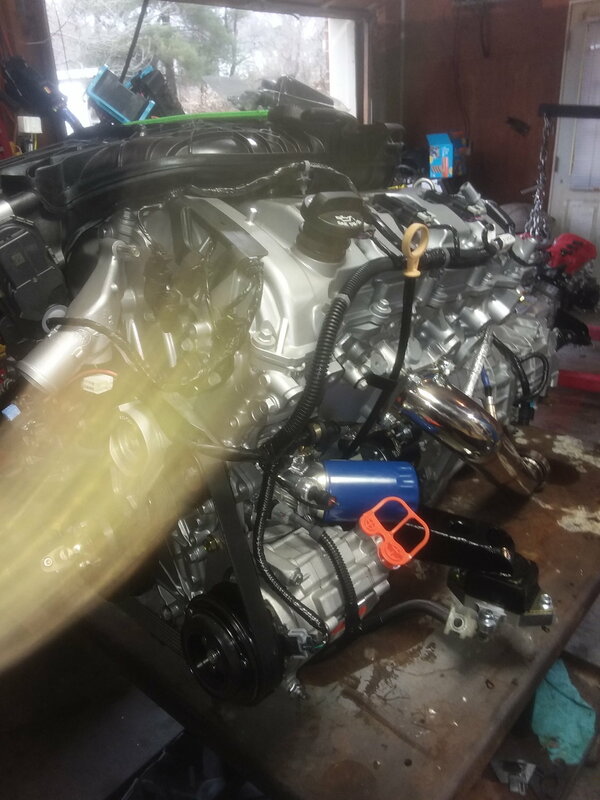 Engine and Trans are both on custom mounts. Had a good, although very wet, time at AMP last month. What did you use to keep the factory dash functional? Are you using two different ECU's? Give us some more details! Are you considering a build thread? Id personally love to read what went into this car. The car is running two different ECU's. The car was built by a shop so I am not planning to do a build thread. I will answer the questions that I can. For the tach signal did your builder put a tone wheel on the crank pulley and mount the eccentric shaft sensor or do some CAN witchcraft? Which steering rack are you using? The stock EPS or some other hydraulic system? Do you have functional ABS and if so what did it take with the swap? In another LS swap thread, the owner said they replaced the ABS w/DSC module with a plain ABS w/out DSC module to make it work. Wow, another cool track conversion. What shop did yours? Awesome car, I'd love to check it out. Any chance you'll be at road atlanta track day on the 28th? The shop that built my car is Keisler Automation out of Knoxville, Tennessee. The shop is local to me and built my car. It is my understanding that they are developing a full swap kit but it has not been released yet. I have nothing but good things to say about them. You can google them and contact them through their website. I'm not sure what I'm allowed to post other than that. My car is currently at the shop getting a roll bar welded in. I doubt that I will be able to make any more track days this year. I'm expecting kid number 2 in the next couple of months and expect to be busy the rest of the year. 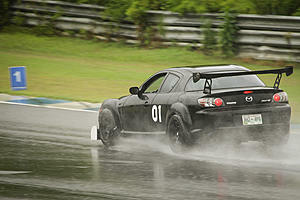 I plan to make it to at least Barber, VIR and Road Atlanta at some point next year. I don't check in on here all that often but will try to answer any questions. I'm also working with Keisler now, they've been absolutely fantastic to deal with. Guy has so much passion, and knowledge. He's going out of his way to save me $$. 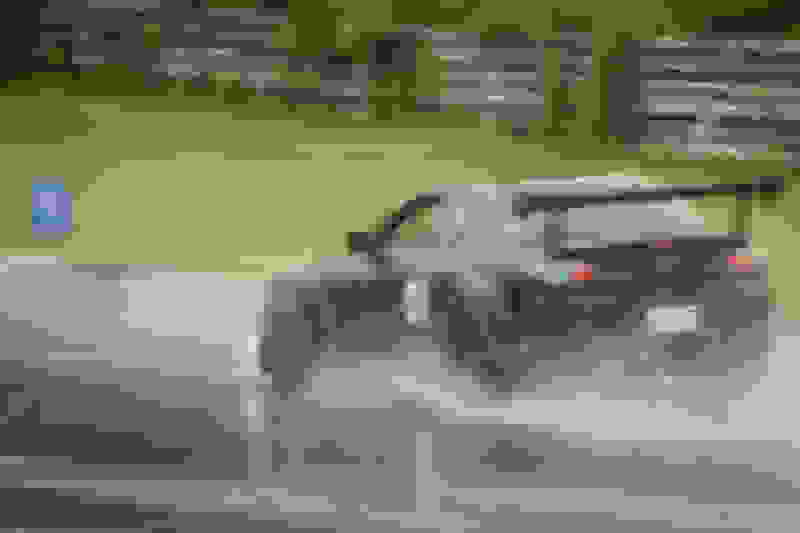 They'll be filming the swap in our first (of two) RX8 endurance race car builds. He's picking up our donor Friday and they'll get to work! Should have it here in Oklahoma within 6 weeks. I am also working with Keisler Automation on a swap. Set to pick up mine next Thursday. Andrew is a young guy, really intelligent and passionate about cars. He has his own cnc machine for parts, and the job he did on my lfx engine is great. The guy built the custom wiring harness to the rx8 and lfx ecu's where it is jut plug and play. The exhaust he built is beautiful. After driving rotary's for over 35 years I cant wait to get back to a high torque engine and keep my fun to drive car. I'm building a track car for amateur Time Attack events. And I also confirm Andrew is very helpful and willing to go the extra mile for the satisfaction of his customers. Here is a bad picture of my engine. Andrew found one for me with only 64 miles on it. He also sourced my other parts and is putting on a 3.91 rear end. My summer tires will be rpf1 18 by 9.5 45 offset with ps4 265 35 18. I will just use it as my daily driver. I also completly restored interior and added all leather seats and trim. Next up after swap complete paint restoration. That's awesome guys. Andrew does great work. RHolloway, my car will be over there when you pick yours up. Over the winter I had a roll cage welded in and I'm currently waiting on new seats and harnesses to be installed.